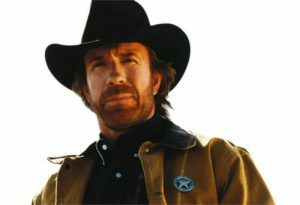 TV star and martial artist Chuck Norris, 77, is suing 11 pharmaceutical companies who produce a heavy-metal-containing dye injected into patients before MRIs (magnetic resonance imaging). The dye contains a heavy metal called gadolinium, which studies have found is retained by organs such as the brain, bones and skin. 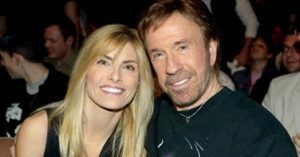 Chuck’s wife of 20 years, Gena Norris, had three MRI scans in one week five years ago to assess her rheumatoid arthritis, reports the Daily Mail. 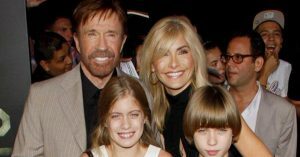 For the past 5 years, Norris says his wife has suffered “debilitating bouts of pain and burning throughout her body,” and it has cost them $2 million dollars out-of-pocket for treatments attempting to rid her body of the heavy metal. The lawsuit alleges that the dye left Gena with Gadolinium Deposition Disease, which wasn’t recognized as a legitimate medical condition until 2018. Gena continues to require regular stem cell therapy to heal her central nervous system. “We are blessed to be able to afford the alternative, integrative treatments needed to help bring about at least a measure of recovery,” Norris says. But others are not so lucky. He says Gena speaks on behalf of thousands of people diagnosed with Gadolinium Deposition Disease that she’s personally been in touch with. In addition to Gadolinium Deposition Disease, another study links the heavy metal to Nephrogenic Systemic Fibrosis, which causes skin thickening that can prevent bending and extending your joints. It can also develop in your diaphragm, thigh muscles, lung vessels and lower abdomen. The lawsuit accuses manufacturers of knowing about the dye’s risks, but failing to warn consumers. It seeks more than $10 million in damages. While gadolinium-based dyes are banned in Europe, the FDA has only recently required warning patients about their risks. 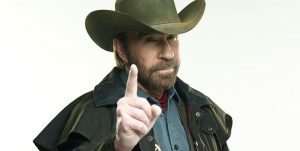 Meanwhile, the agency has not yet approved what Norris considers to be safe and effective alternative therapies like chelation for removing heavy metals from the body. There are 400,000 preventable adverse drug events each year, according to The National Academy of Medicine, Norris noted. It’s time to “let the pharmaceutical industry know that it’s not acceptable to cover up a problem or take a wait-and-see approach when dealing with patient safety,” he said.